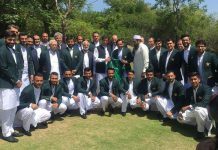 Pakistan Cricket Board (PCB) on Tuesday announced the schedule for the upcoming series against Australia and New Zealand, to be played in the United Arab Emirates over the next three months. According to the itinerary, Pakistan will kick off their tour with a four-day tour match against Australia A on September 29 at the ICC Academy in Dubai. Australia and Pakistan will then battle it out in a two-match Test series, with the first Test to be held on October 7 and the second on October 16. The Tests will be followed by a three-match T20 series with matches on October 24, 26 and 28. Pakistan will then face New Zealand in a three-match T20 series on October 31, November 2 and 4. The T20 series will be followed by a three-match one-day international (ODI) series with matches on November 7, 9 and 11. The three-match Test series between Pakistan and New Zealand will begin from November 16. The second Test will be played on November 24 and the third and final Test on December 3. 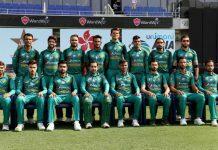 Moreover, the Pakistan A team will play New Zealand A in a three-match T20 series on October 12, 15 and 17 followed by a three-match ODI series on October 21, 24 and 26. The first of the four-day match between Pakistan A and New Zealand A will be played on October 30. The second four-day match will be played on November 6. 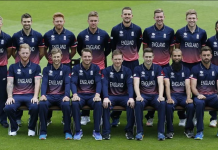 On November 18, Pakistan will play England Lions A in a four-day match followed by a five-match ODI series with matches on November 25, 27, 30, December 2 and 5. The first T20 match between Pakistan A and England Lions will take place on December 7 followed by the second match on December 8.